Professionals > MMTIC® Assessment > What Is The MMTIC®? What is the MMTIC® Assessment? Like the well-known Myers-Briggs Type Indicator® (MBTI®) instrument, the Murphy-Meisgeier Type Indicator for Children® (MMTIC®) is a self-report assessment developed to measure children's psychological type preferences. The two instruments share the same theoretical approach to understanding personality types, but the MBTI assessment is intended for a mature audience, while the shorter, easier-to-read MMTIC instrument is designed to assess personality type in children and teenagers. MMTIC results give educators, consultants, counselors, parents, and young people valuable insights into differences in how they learn and engage in healthy social interactions. 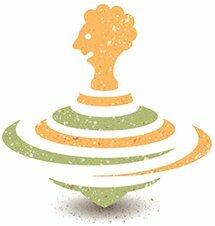 Type has profound implications for discovering unique learning styles, empowering early learning success, and encouraging lifelong personal growth and development. Who can use the MMTIC® Assessment? The MMTIC instrument and reports are available for use only by adults who are 21 years of age or older, have a four-year degree from an accredited college or university (if you studied outside the U.S. you will need an equivalent degree), and have successfully completed the MMTIC® Certification Program. Parents who wish to present the MMTIC assessment to their children should do so through a certified MMTIC practitioner, or use CAPT's Take the MMTIC Assessment. How is the MMTIC® Assessment delivered? Online. Any child who has access to a computer and the Internet can enter responses online. Once scored, reports can be downloaded by an authorized adult, including administrators, teachers, school psychologists, or guidance counselors. Paper question and answer sheets. Designed for use with groups of children, or one child at a time. Answer sheets and question booklets can be downloaded. MMTIC® Key-In Answer Sheets allow students to record their answers on paper, and the facilitator then enters these answers into the MMTIC® Facilitator Interface. How are MMTIC® results delivered? 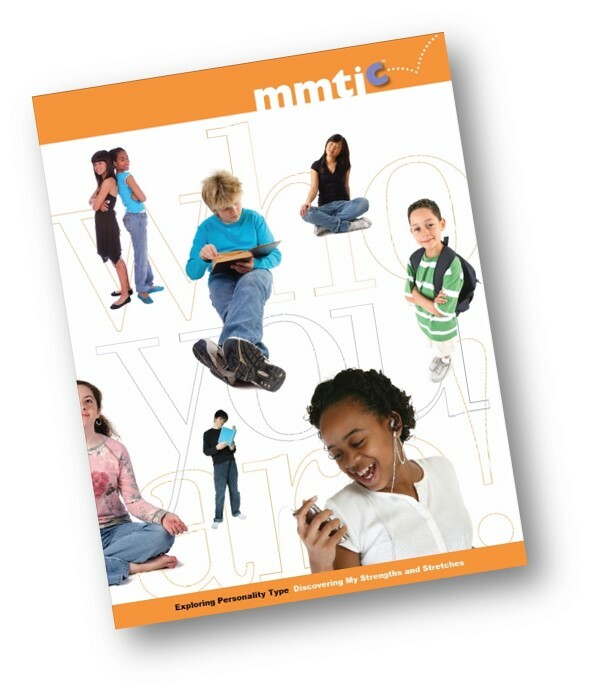 MMTIC results are provided in a wide variety of MMTIC reports and support materials. The basic MMTIC assessment includes the online instrument, scoring, and the MMTIC® Student Report. These are all purchased from within the facilitator interface. Practitioners can easily generate other reports, available in elementary, middle, or high school levels. We recommend that each student receive one of the Exploring Personality Type workbooks along with their student report. Note: The MMTIC assessment has been validated for native or fluent English speaking young people who are between the ages of 7 and 18 years old. The instrument should only be delivered to young people with a minimum of a second grade reading level in English. The MMTIC assessment should not be translated by the Facilitator for children who cannot read and understand the instrument on their own.